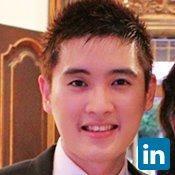 Raymond joined with PB Taxand in 2010 and then with PT Bank Sinarmas Tbk until now, and get his Undergraduate Program in Management from the Mercu Buana in 2015. He is a member of Indonesian Tax Consultants Association (IKPI). He obtained his certification for Brevet A, B and C. He has several experiences in corporate tax services such as tax verification, tax consultation and tax planning, and Auditing also. He has expanded his knowledge and experience by participating several trainings including regular in-house tax training. Evaluate all activities of branch to ensure the process is accordance with systems and procedure. Issuing, reporting and presenting the audit report to the Audit Committee and Board of Directors. Analyze system & procedure, Make reports. Preparing and analyzing monthly report.